Dakota Rustic Collection is designed to meet today’s ever growing popularity of building accent walls, rustic furniture and crafts. Our American made product line focuses on providing a consistent product to meet the design needs from large commercial projects to the Do-it-yourself home project. In an ever-changing design market there are a few timeless trends that have stayed consistent. The natural beauty of Rustic boards has been a part of our heritage for many generations, but the current demand for reclaimed lumber has created a shortage in sustainable material. Our industry has scoured the countryside in search of dilapidated barns and even weathered snow fences that can be disassembled and refurbished. 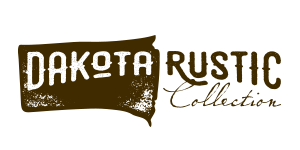 Dakota Rustic Collection has developed an alternative that takes sustainable raw lumber and processes it to create a weathered appearance in various color schemes. Our product gives the consumer a consistent size that is free of nails and hazardous contaminants such as lead and arsenic.